Lunenburg craftsmen will build and install a new wooden rudder on the rebuilt Bluenose II, in what the Nova Scotia government hopes will be the final modification to the schooner. It was built in Lunenburg, and the Bluenose II will be fixed by craftsmen in the famed fishing community. 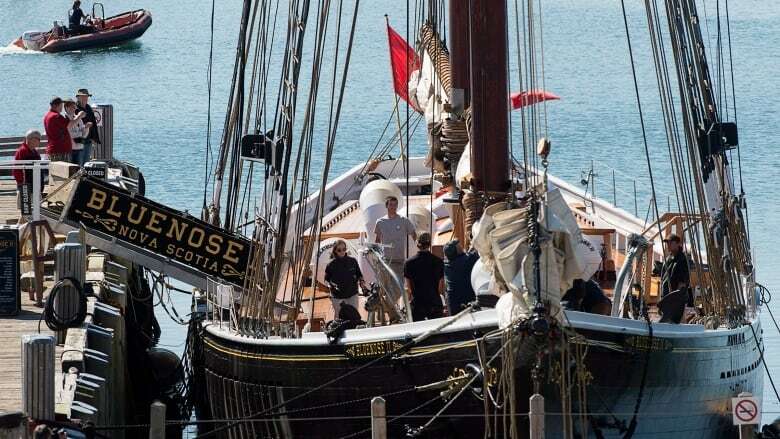 The provincial government has chosen Snyder's Shipyard to build and install a traditional wooden rudder on Nova Scotia's sailing ambassador, which has been plagued by steering problems linked to its steel rudder. The preparation work has already begun, according to Transportation Minister Geoff MacLellan. "Snyder's has been in there. They're lifting up the planks on the deck now," MacLellan told reporters Thursday. The minister said the vessel will likely be hauled out of the water in about a month. The wooden rudder work will cost in the range of $500,000, he said, about half the original estimate. "They'll bring her up to the dock there [at the Lunenburg Foundry] and start to do the heavy duty work with the actual rudder," he said. "We certainly anticipate it being done probably early in the new year." The wooden rudder contract was handed directly to Snyder's and Lunenburg Industrial Foundry and Engineering rather than tendered so that any company could bid on the work. MacLellan defended that decision Thursday. "First and foremost we know that the teams in Lunenburg, the compliment we have down there are among the best in the world," he said. "They've done a tremendous job on the Bluenose II project since 2009 despite all the challenges … and they really deserve an opportunity to do this. "We're confident in the decision. We're confident in their abilities. They're the best in the business and they deserve this opportunity and that's why we sole-sourced it to them."